Have you recently retired from your working life only to find that you could use some extra retirement income? Many new retirees have trouble adjusting to their new lifestyle, and it’s often caused by a sudden drop in income. Even folks who took steps to prepare for their retirement can face financial difficulties after they stop receiving a regular paycheck from an employer. There are many ways for retirees to supplement their retirement income, but one of the best just might be something you’ve never even considered: Writing a blog! I know you’re probably thinking that you could never be a blogger, but I hope you’ll hear me out because it isn’t nearly as hard as you probably think it is. First of all, you don’t have to be a great writer to write an effective blog. My own writing skills (or lack thereof) prove that! Truth be told, all you really need in order to write a successful blog and earn money from it is the desire to do it and expertise in some area of life that others could benefit from. For example, do you have lots of experience in your former career field that could help younger workers who are just getting started in that field? If so, you can write about them. Or perhaps you have strong opinions about politics, religion or some other aspect of life that you’d love to share with like-minded people (and those who might even disagree)? Regardless of what your background and life experiences might be, chances are there are thousands (and perhaps millions) of people in this Internet-connected world who would love to hear what you have to say. Of course you’re probably wondering just how you can earn money by writing a blog. That IS the topic of this post after all! There are several ways to earn a supplemental income by blogging, but the one I like best is earning affiliate commissions from the sales of products and services you like, use and recommend. Don’t worry, you don’t have to do any “selling” to succeed at this. Simply write your blog posts about topics that interest you, then provide affiliate links to products that you mention in your posts. Linking to a sales page for a product that solves a problem you just wrote about is a great way to earn a commission that can be anywhere from a few cents to hundreds of dollars. And like I said earlier, you won’t have to “sell” a thing. Your blog post will do the “selling” for you! Lets say you’re a retired automobile technician who is interested in blogging about about auto maintenance and repair. You could write a blog post about the benefits of doing your own oil changes, with instructions (and maybe even a short video) explaining how to do them correctly and safely. Somewhere in the post you could mention the tools and equipment you prefer to use when doing an oil change, then provide affiliate links to those products right in the post! The reader won’t perceive that you’re trying to “sell” them something, because you aren’t. You’re simply explaining how to perform a useful task and describing the tools and materials that you use to get the job done. The folks who read your post will appreciate you taking the time to explain how to do their own change changes and telling them exactly what they can purchase to do it. Say you’re a retired chef. You could write about preparing your favorite crowd-pleasing recipes, and in the course of writing the post you could mention the cookware and utensils used to make the dish. And you’ll actually be doing your readers a favor by linking to the products you mention (with your income-generating affiliate links of course)! I could go on and on about the many ways you could earn money as a blogger, but I think you probably have a good idea by now. Just be aware that while blogging can be fun (I happen to love it! ), it does require some work in the form of research (you know how to use Google, right?). But the rewards can vastly outweigh the effort if you go into it with a positive attitude and a desire to succeed. Of course how much you end up making will depend on what you choose to write about and promote with your affiliate links, but if you really work at it you can easily be earning a decent supplemental income as a blogger in just a few short months. If you decide that you’d like to give blogging a try, you can get started on a proverbial shoestring. In fact, this post explains how to start your very own WordPress blog for only $1 up front. What a deal! 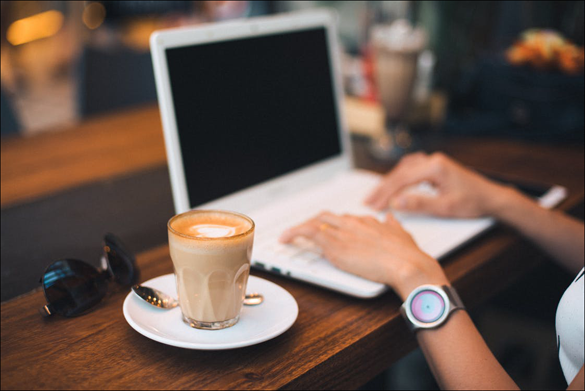 Bottom line: If you find yourself in need of some extra income for your retirement needs, blogging is a great way to earn it without having to re-enter the workforce!